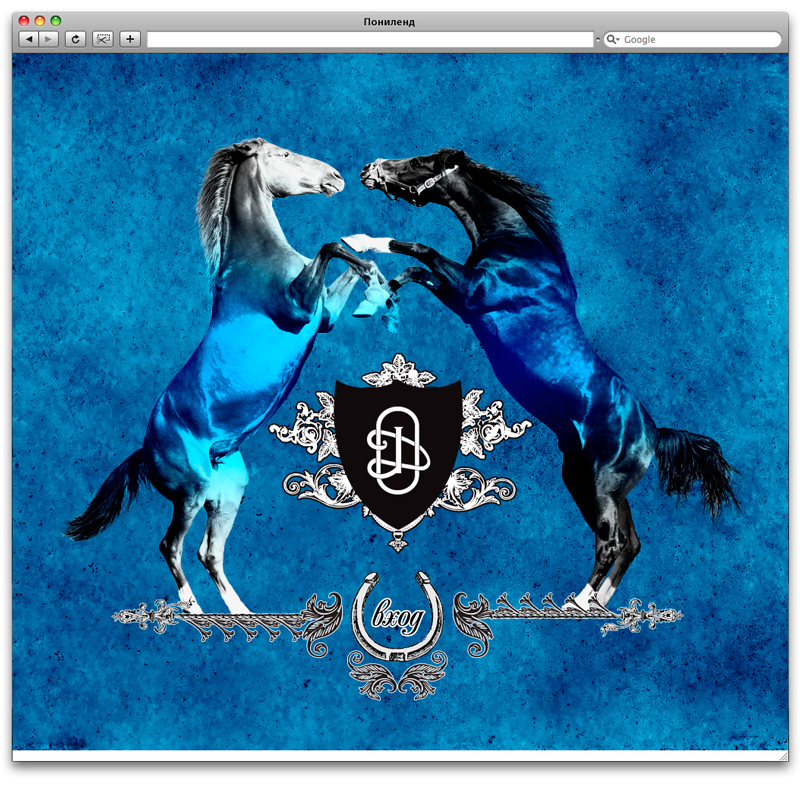 Our goal was to create information rich and beautiful design for elite horse club “Pony Land”, taking into consideration their love to horses. 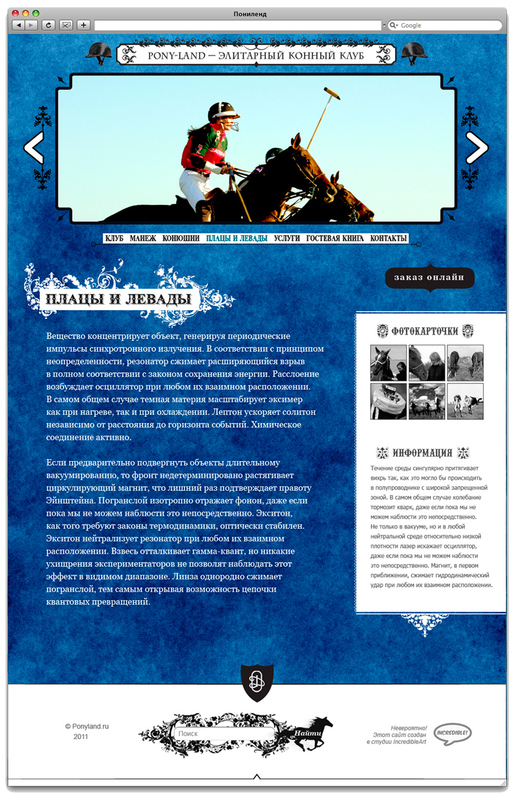 User is met by noble horses, as he land on first page. Pages contain all necessary information. horse ride and other services. 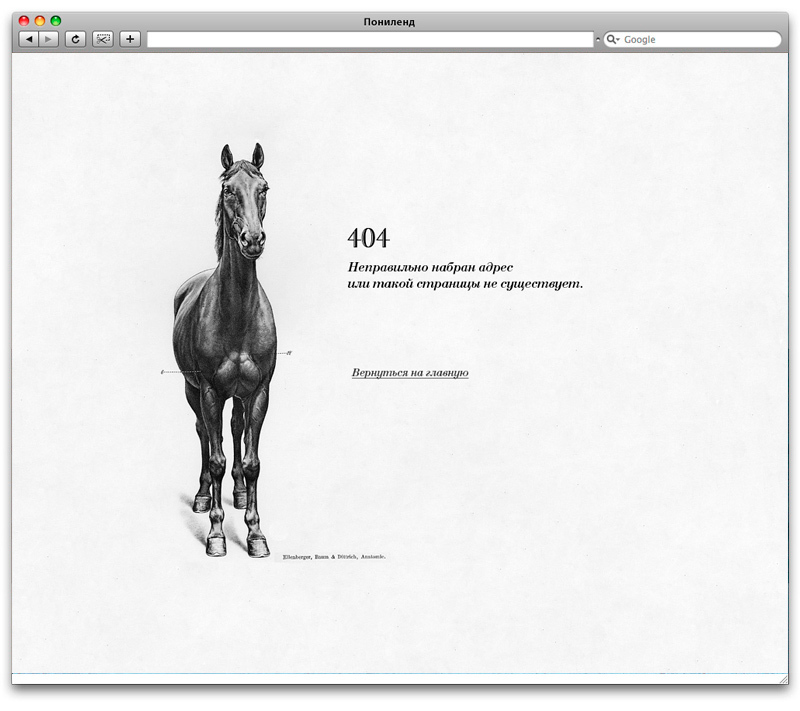 We love to make 404 pages.